What happened between my initial inspiration and this card that made me go in a completely different direction, but still maintaining a white border along the top and bottom of the card? The trick was thinking outside the box. 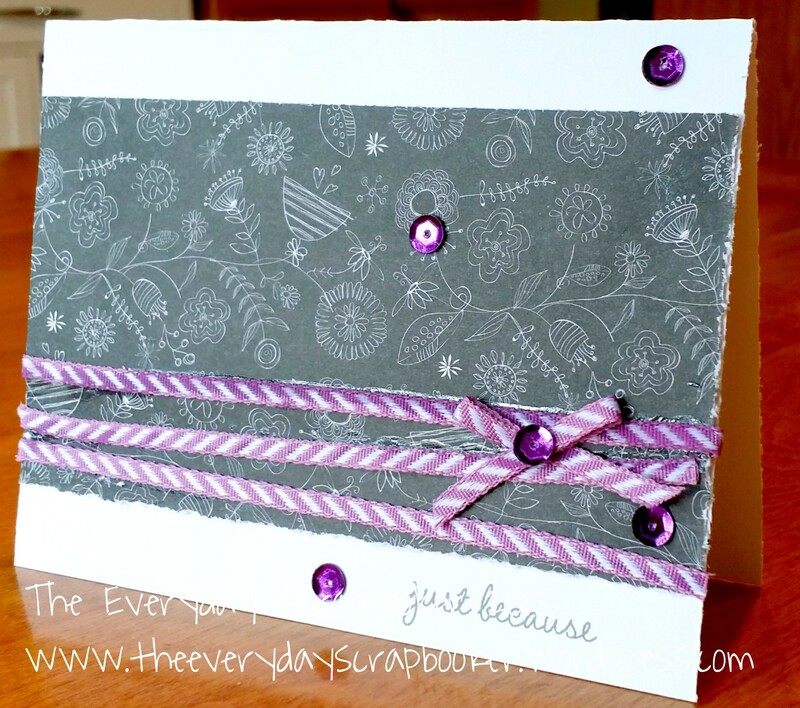 I intended to try embossing cardstock, like in my original inspiration, but first tried patterned paper. Adhering the ribbon irritated me, so instead of creating more (in that moment), I decided to try a different route: stamping! The stamping hit the jackpot. I created the same visual effect by taping off half an inch on both the top and bottom of the card and stamping repeatedly inside the masked off area. Once again, I varied the height each time I stamped, and varied which floral stamps I used for a little more interest and dimension. Lastly, the different colors just adds to the overall effect. I liked this so much, I created two more cards just like it! 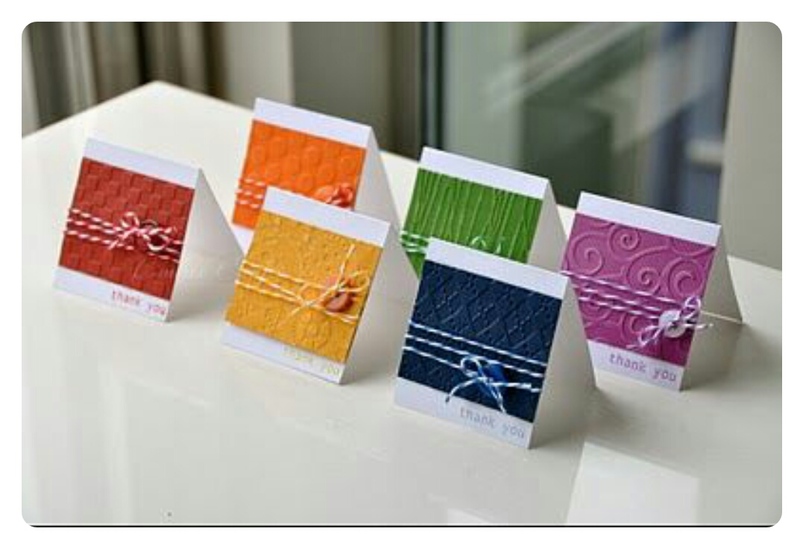 On all these cards, I used CTMH D1616 Have A Happy Day. 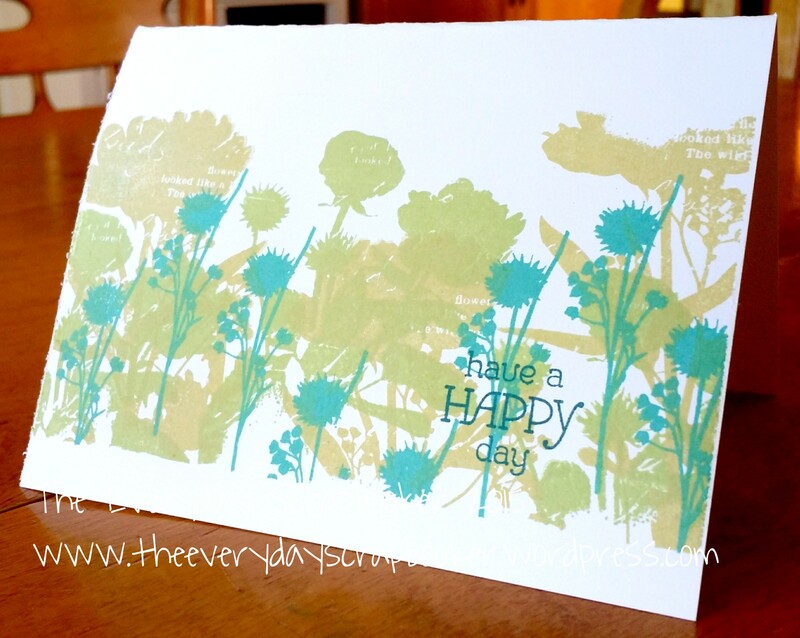 On the three stamped cards, I used a mixture of D1616 Have A Happy Day and September’s SOTM S1509 Paper Garden. 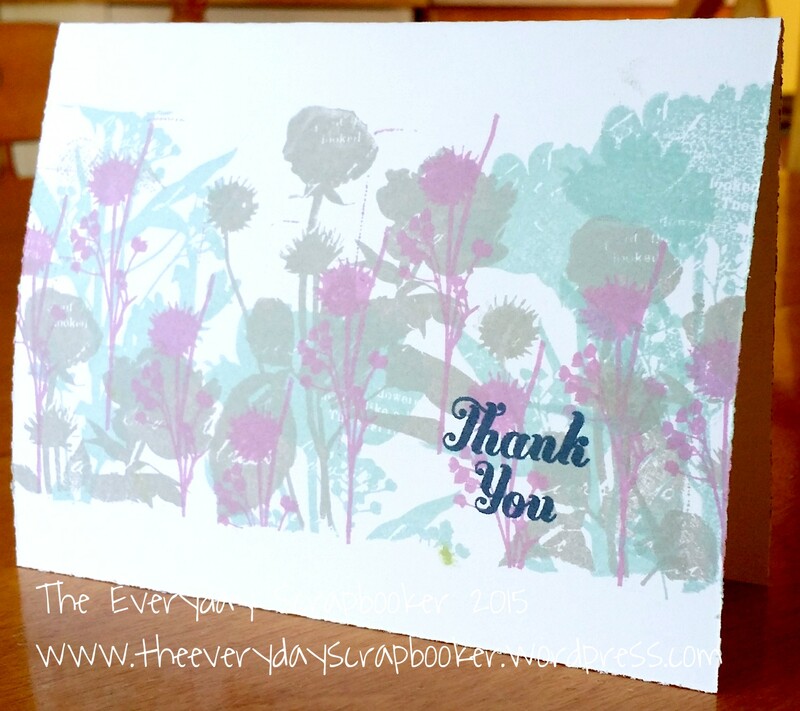 On the Thank You card, I used CTMH Thistle, Whisper, Outdoor Denim and Glacier inks; I used Momenta patterned paper and CTMH Thistle ribbon on the Just Because card. (I also used Whisper ink for the sentiment). 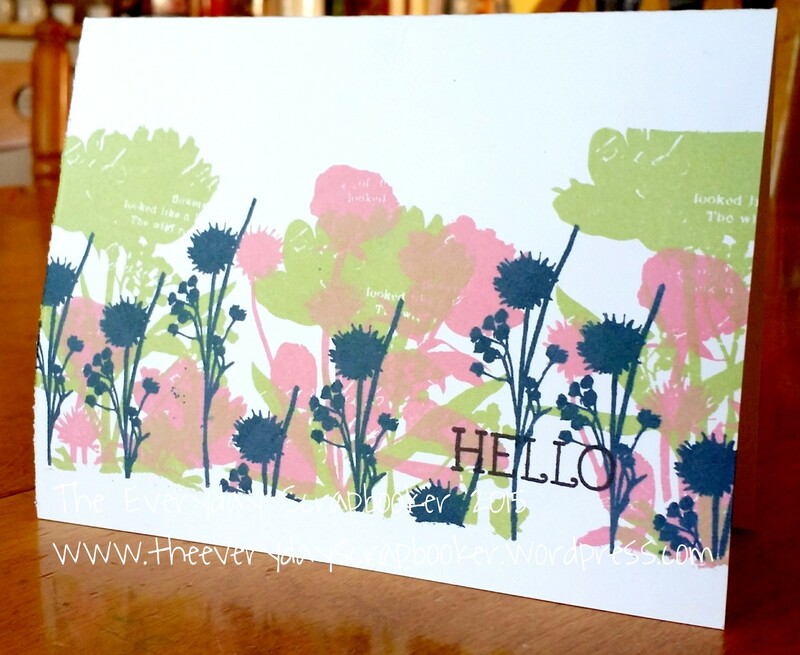 The inks I used on the Hello card are Sweet Leaf, Blush, Outdoor Denim and Black; lastly, I used Flaxen, Sweet Leaf, Lagoon and Peacock inks on the Have A Happy Day card. Where do you find inspiration? Does it tend to come right away, or do you follow a process, like I did on this project?